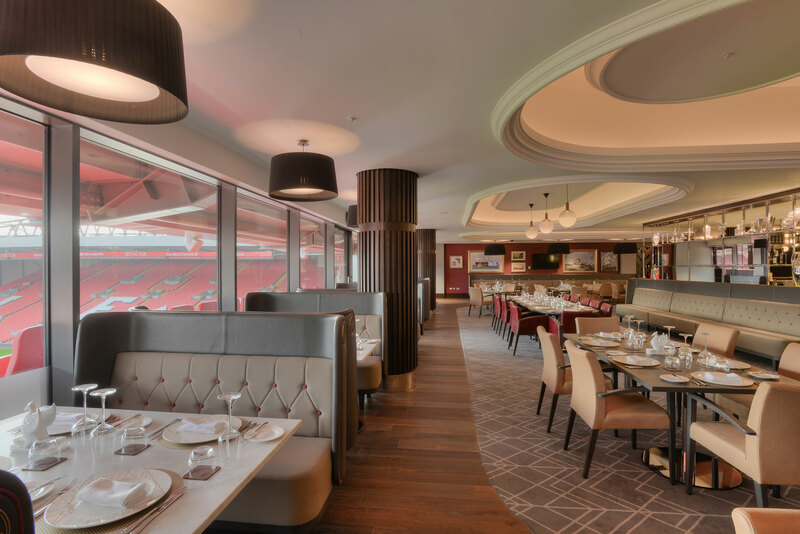 Graven has designed the branding, interiors and signage for two VIP lounges at Anfield Stadium for Liverpool Football Club. 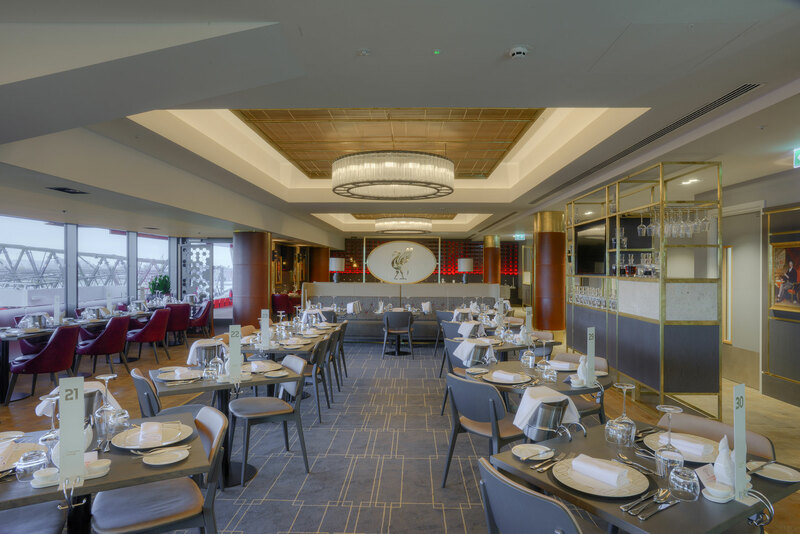 The Boardroom Lounge and The Executive Lounge represent the premium hospitality available to guests at Anfield, while celebrating the integrity and heritage of the city of Liverpool, the Club and its supporters. 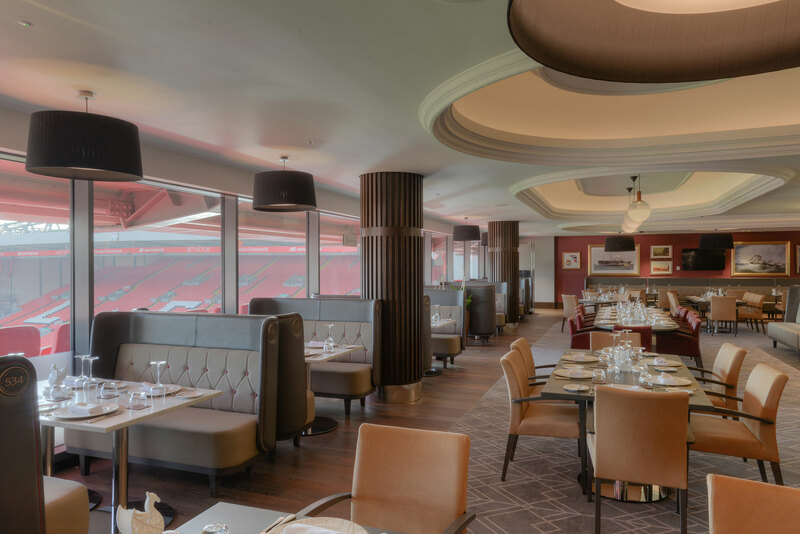 The lounges form part of the development of the Main Stand at Anfield Stadium, which has seen its capacity soar from 12,200 to 20,500 seats with the addition of premium public space and first class facilities for supporters. 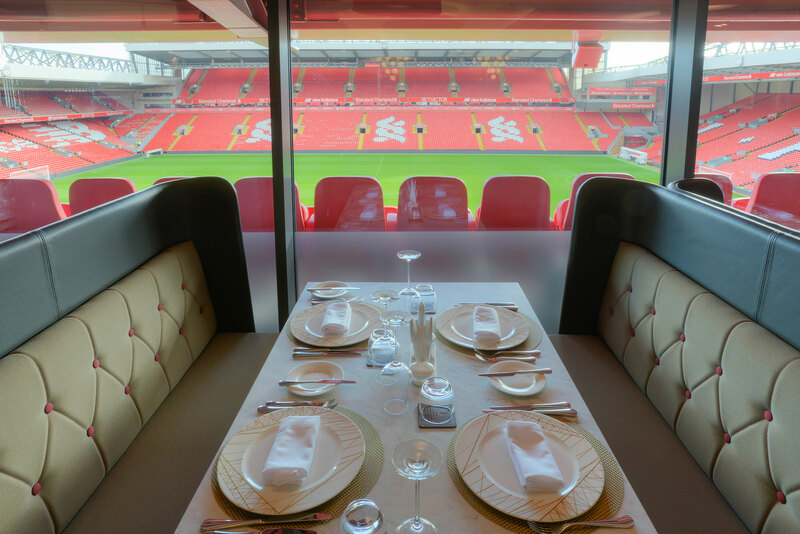 The redeveloped Main Stand is an important part of an ambitious Liverpool City Council-led regeneration programme for the Anfield area. 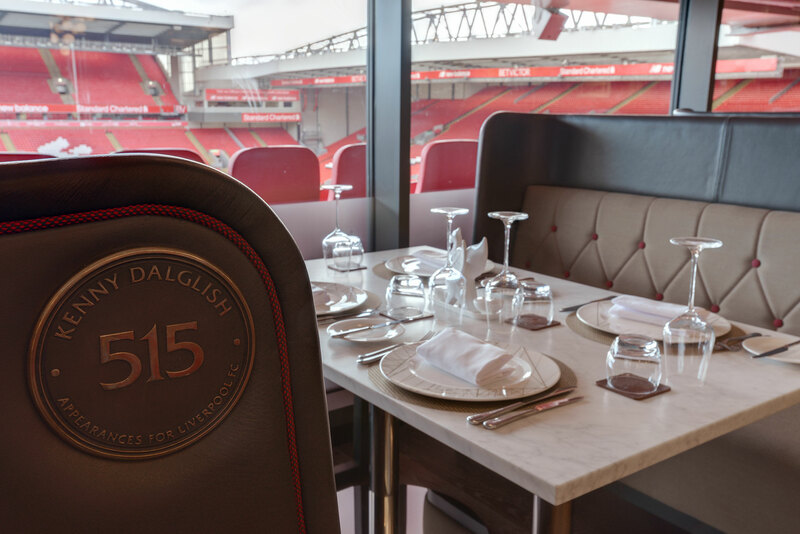 Along with incredible views of the pitch and some of the best seats available, both lounges aim to be among the finest places in the City to enjoy the Anfield atmosphere. 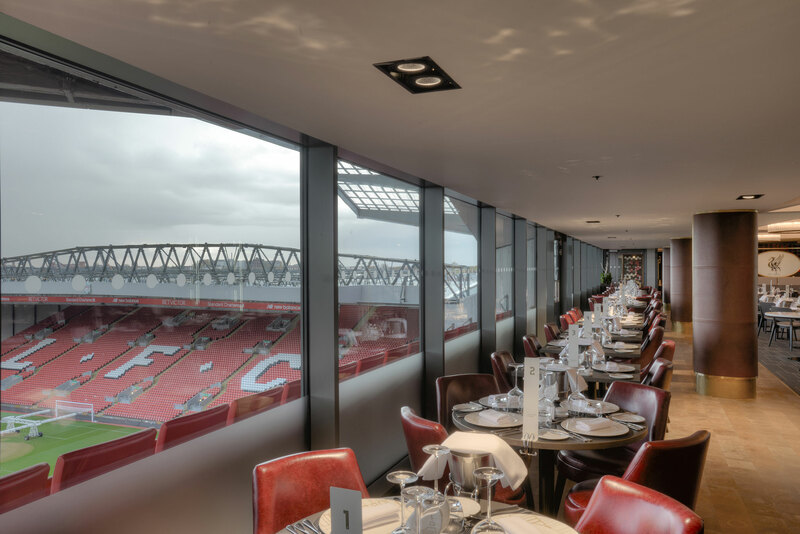 The Club’s reputation influenced the design of meaningful, real places to become part of its legacy and act as a motivation for a Club with its sights firmly set on a successful future. 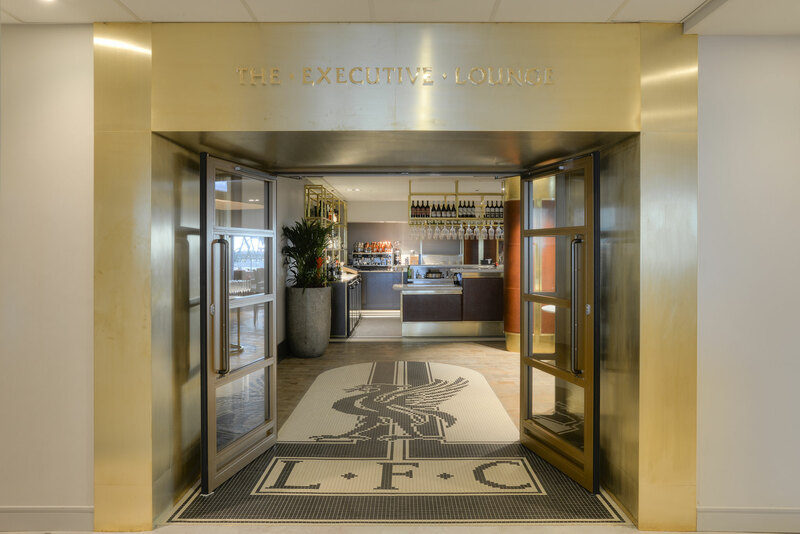 The entrance to The Boardroom Lounge creates an opportunity for future glories to be celebrated and recorded. 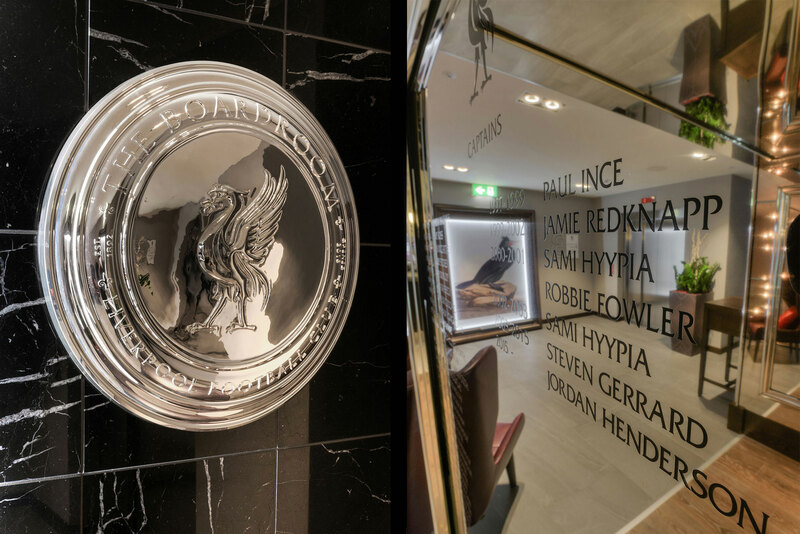 Inspired by the tunnel of the Main Stand—the scene of the iconic moment as players emerge onto the pitch—and the engraving of trophies, the silver tunnel-like threshold is clad in mirror polished stainless steel and engraved with the names of the team’s revered Captains and the Club’s Championship victories. 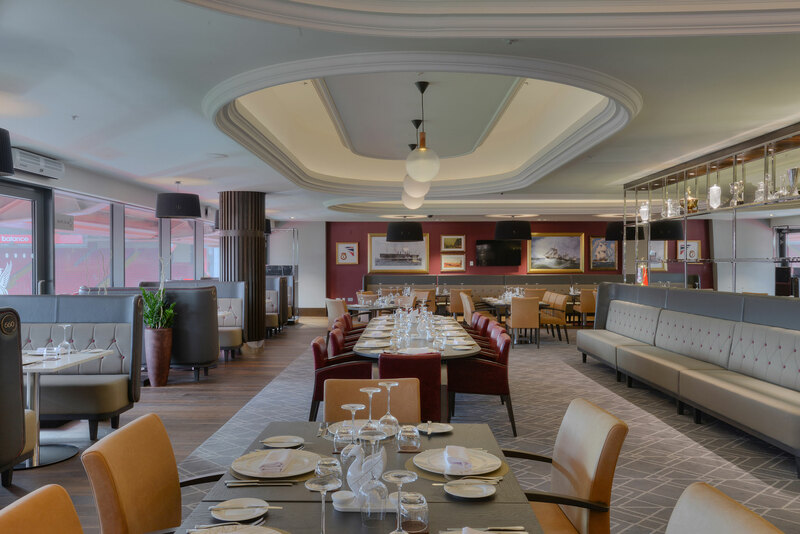 Commemoration and memory is explored further as Graven created opportunities for some of the Club’s most influential players to be embedded in the very fabric of the lounges. 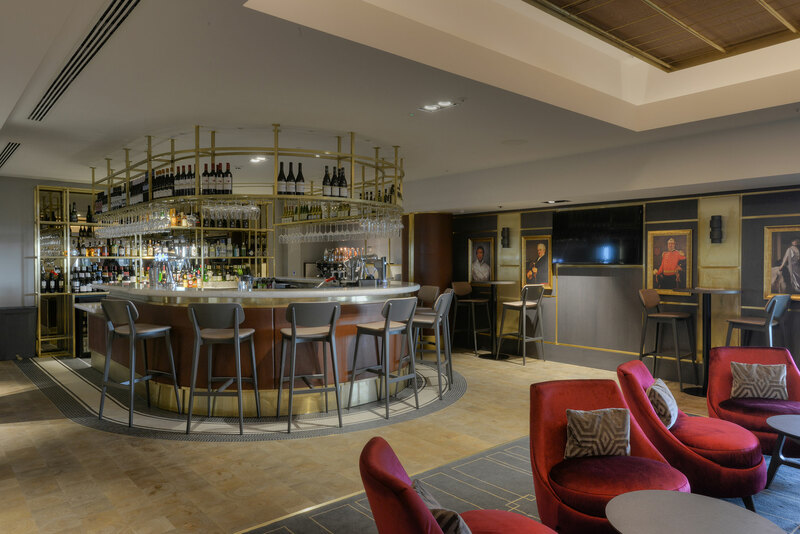 Unique customised cast bronze badges—created by bespoke jewellery designers, Brazen—are set into the side of the 12 window booths of The Boardroom Lounge. 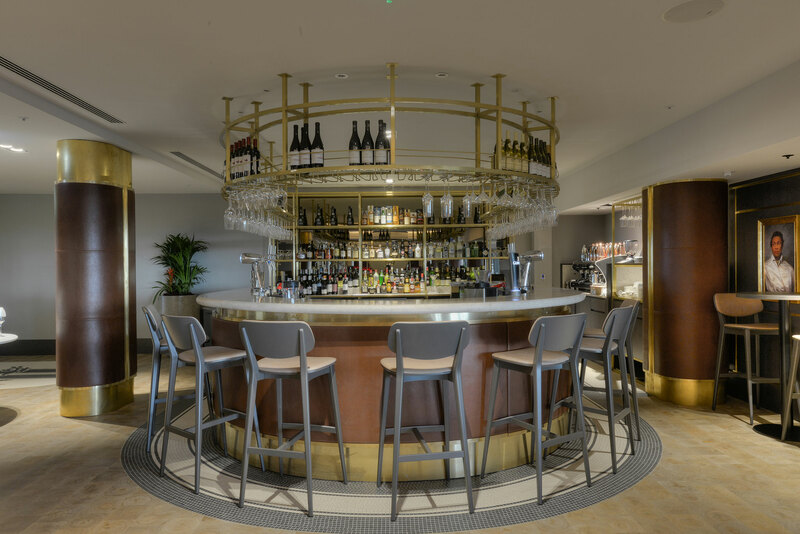 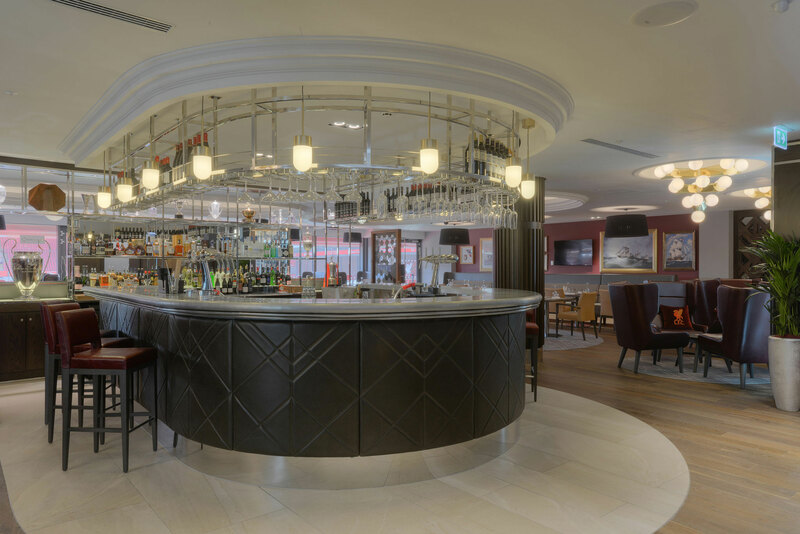 Graven brings the architecture of Albert Dock and the local red brick terraced houses into The Executive Lounge. 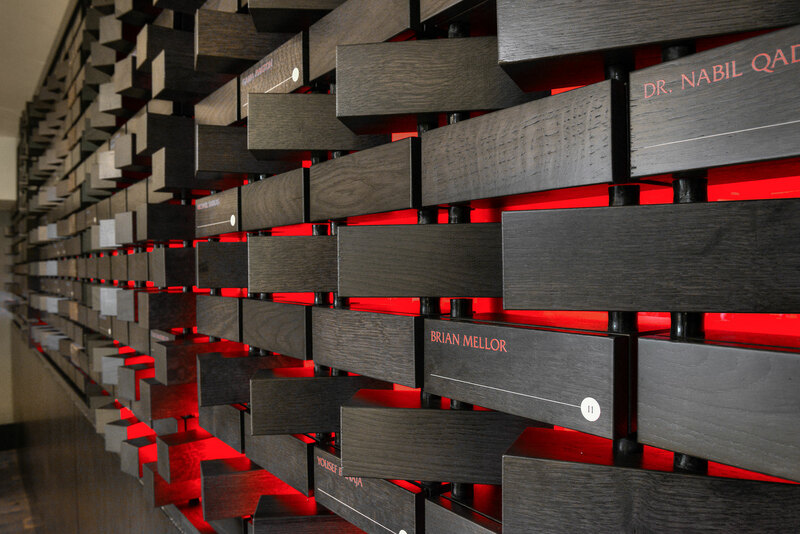 Dark oak bricks printed with names of supporters and sponsors are interspersed with original bricks from the Main Stand and set as a flowing, irregular patterned wall display. 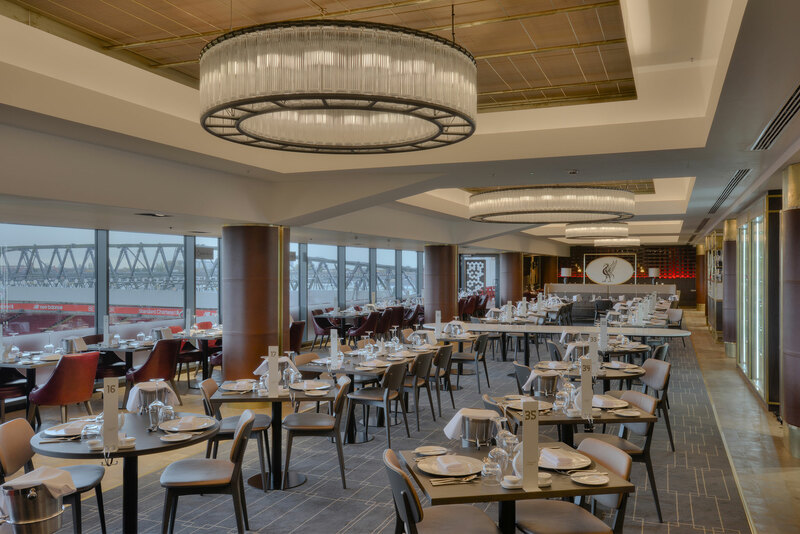 The Boardroom Lounge and The Executive Lounge are places for business as well as sport, adding to the tradition of Liverpool’s magnificent cultural, commercial and international heritage. 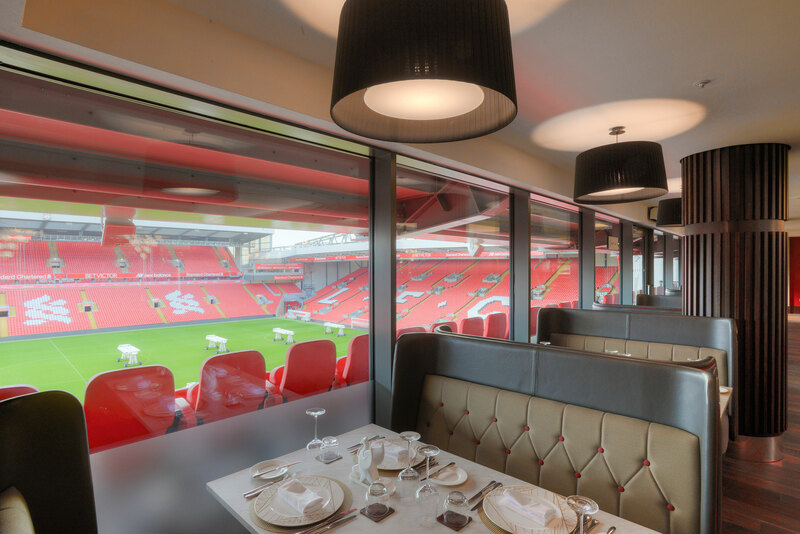 Graven designed a number of exclusive, bespoke pieces that reference Anfield and Liverpool’s supporters including a dark grey linear patterned carpet inspired by Liverpool’s dockyard cranes and the architectural details of the original Main Stand, designed by the prolific stadia architect and engineer, Archibald Leitch. 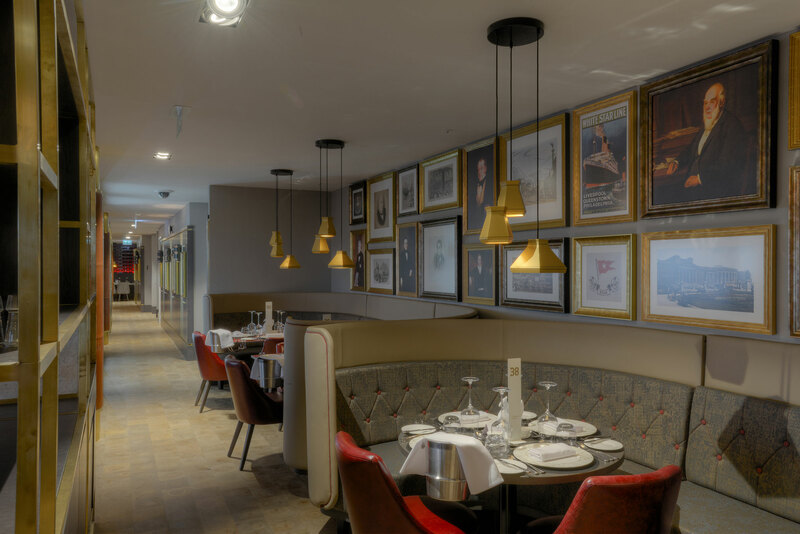 Every space, seat and stitch was an opportunity to embed meaning and opportunities for new moments and stories. 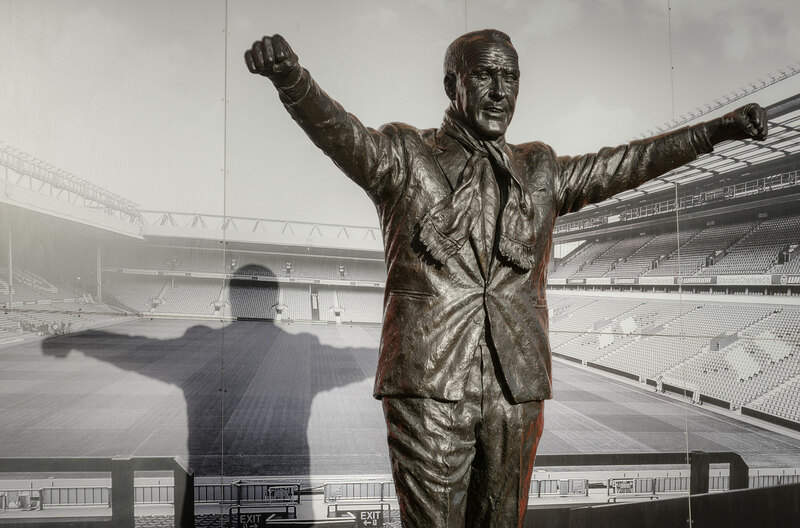 A carefully curated selection of artwork and artefacts are used to communicate the rich history and brand of Liverpool FC but also the wider importance of the Club within the City of Liverpool and in turn the City’s international status. 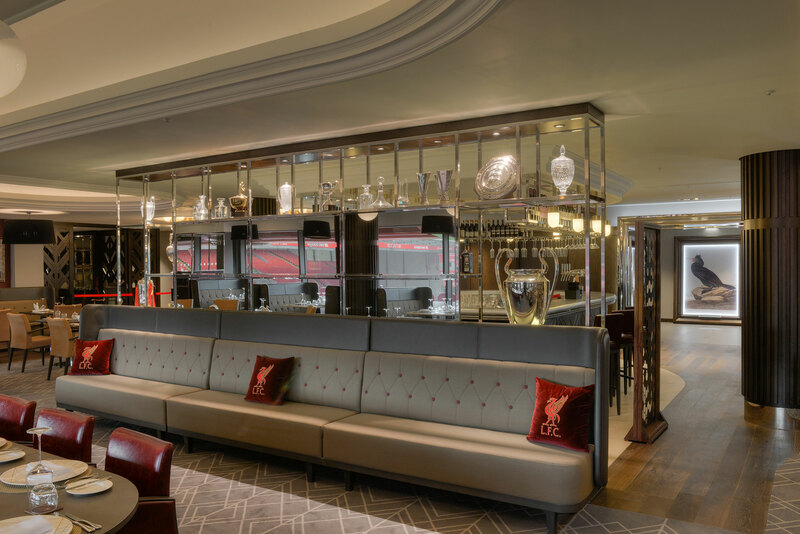 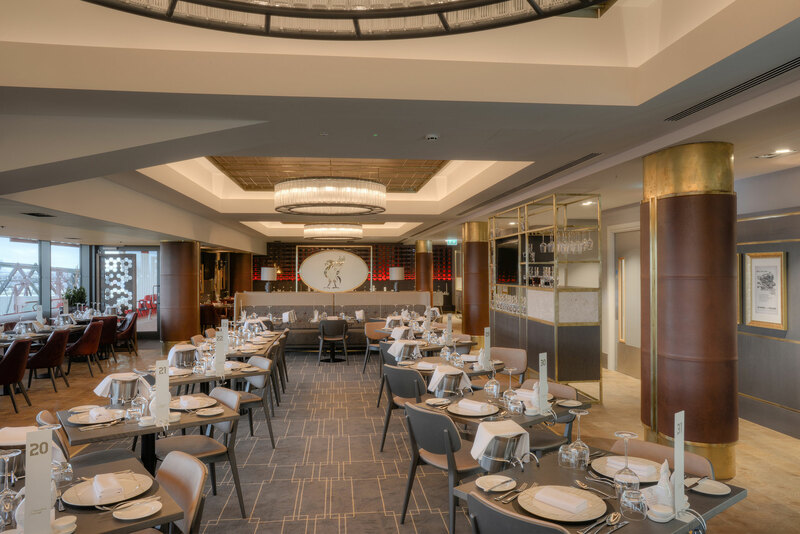 The Executive Lounge features a ‘gallery’ of Liverpool’s captains of industry and unearths some lesser-known heroes, while The Boardroom Lounge exhibits framed artwork of Liverpool’s trade and shipping past and an incredible, glistening display of original and replica trophies.